The iconic series follows the crew of the starship U.S.S. Enterprise as it completes its missions in space in the 23rd century. The crew confront strange alien races, friendly and hostile alike, as they explore unknown worlds. While visiting M-113, Dr. McCoy runs into an old love and discovers that she has not aged a day. Charlie Evans threatens the security of the ship when he exhibits deadly powers. Crew members develop god-like ESP capabilities while searching for missing ship. The crew is infected with a virus that causes them to behave irrationally. Capt. Kirk is split into two physical beings, one hostile, the other beneficent. Harry Mudd and his women are captured while trying to evade the Enterprise. The Enterprise arrives at Exo III to learn the fate of Dr. Roger Korby. A planet's experiment to prolong life leads to death for the adult population. A prominent doctor from a penal colony smuggles himself on board the Enterprise. Capt. Kirk is forced to bluff his way out of a dangerous situation. Mr. Spock demands a court-martial after kidnapping Capt. Pike from the hospital. Mr. Spock conducts his own defense as he faces charges of kidnapping and piracy. Kirk tries to discover if an actor is really a mass executioner believed dead. The Enterprise plays a game of cat-and-mouse with a cloaked Romulan warbird. The crew takes shore leave on an Earth-like planet where fantasies come to life. The crew of the Galileo fight for survival after crash landing on barren planet. Capt. Kirk plays a game of death with a maniacal alien who toys with the ship. Kirk is forced into a deadly showdown with the captain of an alien starship. 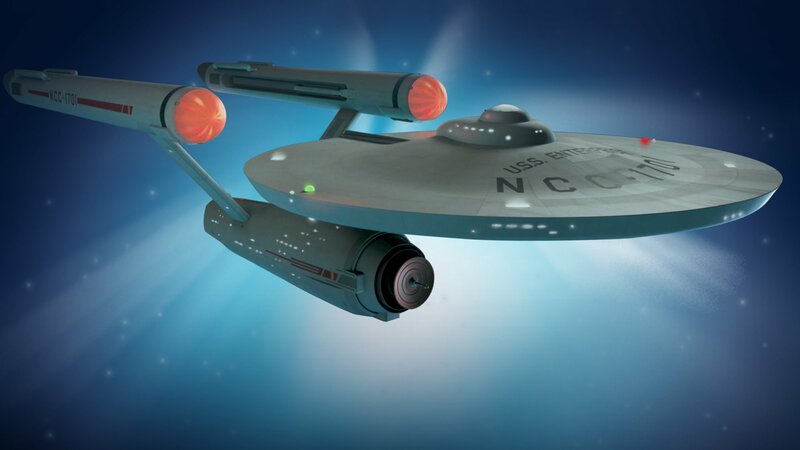 The Enterprise is thrown back in time and is mistaken for a UFO. Capt. Kirk faces a court-martial over the apparent death of a fellow crewman. While on Beta 3000, Capt. Kirk discovers a society ruled by the will of Landru. The Enterprise encounters a derelict ship with 72 bodies in suspended animation. The Enterprise is declared destroyed in a planet's ongoing war with a neighbor. Capt. Kirk is surprised to find the colonists of an agricultural planet alive. The Enterprise goes to the mining planet of Janus Six to investigate deaths. The Enterprise is sent to Organia to thwart an invasion by the Klingon Empire. The crew encounters a man on the run from his alter ego in a parallel universe. Kirk and Spock follow drug-crazed McCoy through a time vortex to 1930s Earth; guest Joan Collins. Parasitic invaders on Deneva kill Capt. Kirk's brother and attack Spock.